The BAS shredder has two shafts whereby the shear blades revolve around each other, so the material is cut into strips. The thickness of the shear blades and the distance between the teeth determines the size of the strips/shreds. 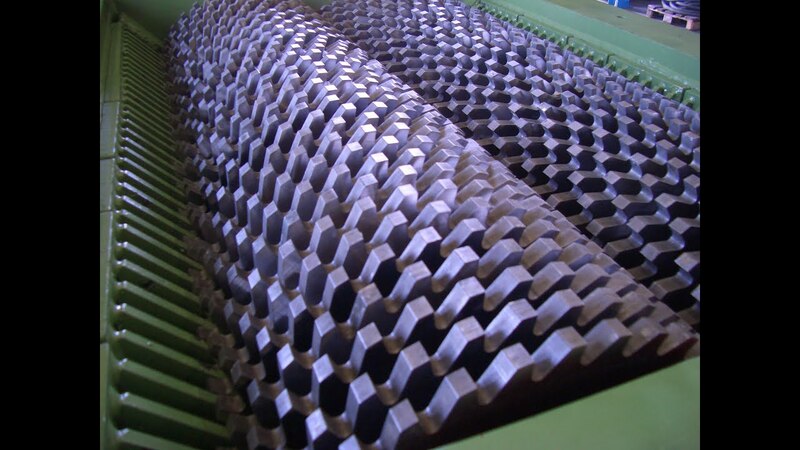 Crude shredding shear blades/large teeth (35mm) are used for rough shredding with a maximum capacity of approx. 6,000kg/h. This process can then be followed by fine shredding where shear blades/small teeth (12mm) are used for example, for the destruction of confidential files. Maximum capacity is approximately 3,000kg/h.